Establishing an Enterprise Architecture Practice can be a daunting challenge. In this course, experienced EA practitioners share their knowledge on how to get started with implementation. 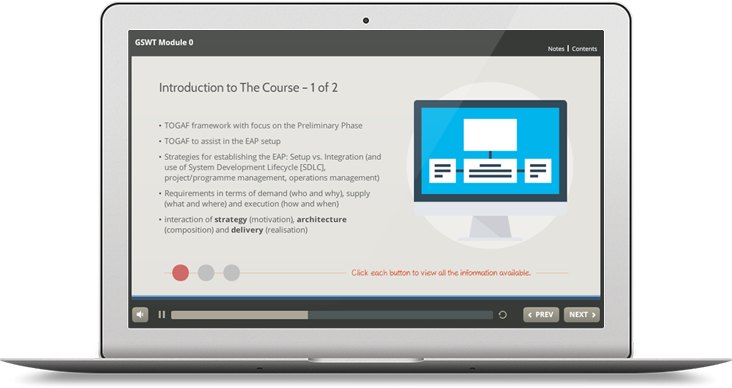 This ‘Getting Started’ course ofers new ways to look at how you might get your TOGAF® implementation of the ground, and helps you make informed choices about how to begin. It shows you how to tailor in your organization’s existing culture, strategy and skills rather than implement blindly from a template. Focusing on the Preliminary Phase, the course also looks at how to integrate TOGAF® into the organization by setting up the correct structures, helping you begin implementation properly, and support the activities of the EA team successfully. The course continues to look at EA demand and the motivation behind change, how we address these changes, the composition of these changes, and fnally the delivery of change. It will also consider other frameworks, such as ITIL, and IT4IT. 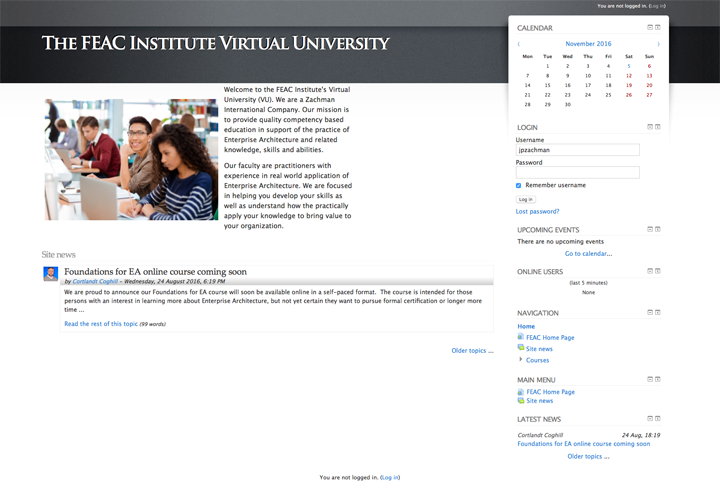 The course contains an overview, followed by ten modules. A written exercise concludes each module. No. This is a practically-oriented course, and does not come with any certifcation. But rather than simple quizzes on content, each module concludes with a written exercise that encourages you to apply what you have learned, and an experienced EA Practitioner to review what you have written. The FEAC Institute has been training and certifying Enterprise Architects for over 15 years. If you want to be the best... learn from the best! 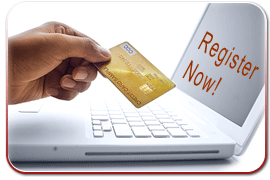 This course is offered completely online with our partner and host Good eLearning. The FEAC® Institute reserves the right to postpone or cancel an event, to change the location of an event. In the event that the FEAC Institute postpones a conference, delegate payments at the postponement date will be credited towards the rescheduled date. If the delegate is unable to attend the rescheduled event, the delegate will receive 100% credit representing payments made towards a future FEAC Institute events or you may send a replacement. No refunds will be available for cancellations or postponements. The FEAC® Institute is not responsible for any loss or damage as a result of substitution, alteration, postponement, or cancellation of an event due to causes beyond its control including without limitation, acts of God, natural disasters, sabotage, accident, trade or industrial disputes, terrorism or hostilities. © Copyright 2016 Good e-Learning, all rights reserved. This e-Learning course is delivered by Good e-Learning. No part of this publication may be reproduced, resold, stored in a retrieval system, or distributed in any form or by any means, without the prior permission of the copyright owner. Such requests for permission may be submitted to: . Good e-Learning is a trading name used by Educational Systems Ltd.
TOGAF®, is a registered trademark of The Open Group. TOGAF 9 Foundation and TOGAF 9 Certifcation from Good e-Learning are Accredited Training Courses and they comply with the accreditation requirements for The Open Group Certifcation for People: TOGAF® 9 Certifcation Program.